Dancing with the Stars takes center stage at the Tower on January 12th featuring Season 23 Winner Laurie Hernandez and her partner Val Chmerkovskiy. 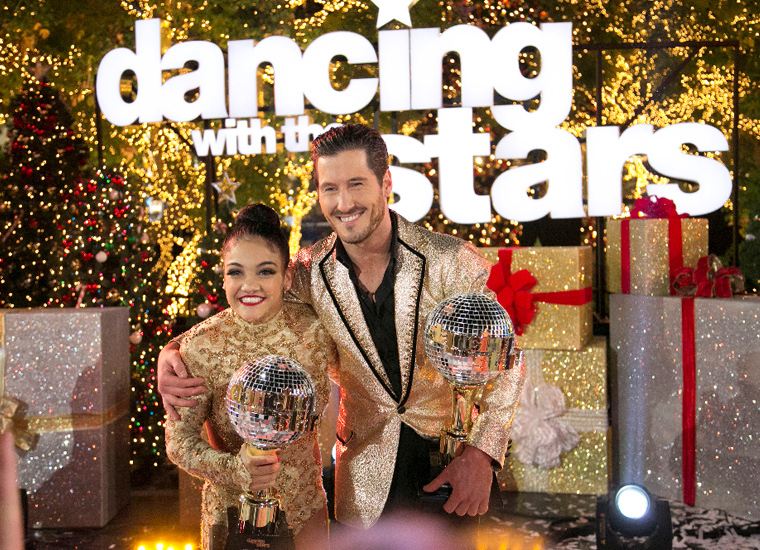 Val, celebrated their victory in a storm of confetti and cheers from the crowd! 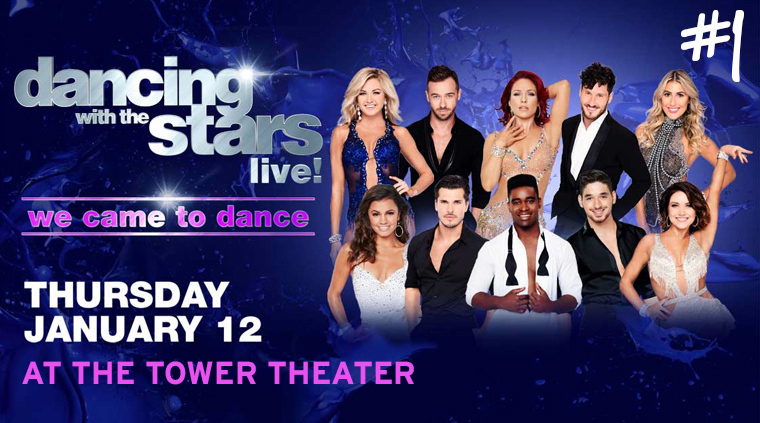 There is one show only, at 8pm - and it will also feature popular pros Lindsay Arnold, Artem Chigvintsev, Sharna Burgess, Emma Slater, Jenna Johnson, Gleb Savchenko, Keo Motsepe, Alan Bersten, and Hayley Erbert. 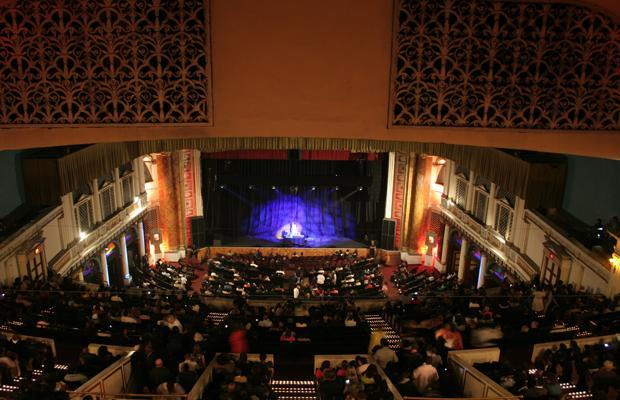 The Tower Theater held its first concert in 1972 and after the show, a reviewer from the Philadelphia Daily News wrote, "Philly Finally has its Fillmore," referring to the famous Fillmore East in New York. The Tower quickly grew a reputation as having its finger on the "pulse" of what was happening in music. David Bowie and The Spiders from Mars and Peter Gabriel with Genesis stood on the Tower's stage during its fledgling years and Bruce Springsteen introduced the E Street Band there in 1974. 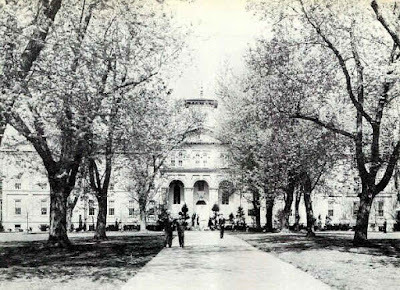 Since then, the likes of Paul Simon, Neil Young and David Bowie have recorded live shows in this historic building and the list of talent that has come through is truly amazing. U2, Grateful Dead, Radiohead, Bob Marley, Tori Amos, Eddie Murphy, Mary J. Blige, The Rolling Stones, Bob Dylan, Kanye West, John Legend, The Decemberists, Robert Plantand thousands more. 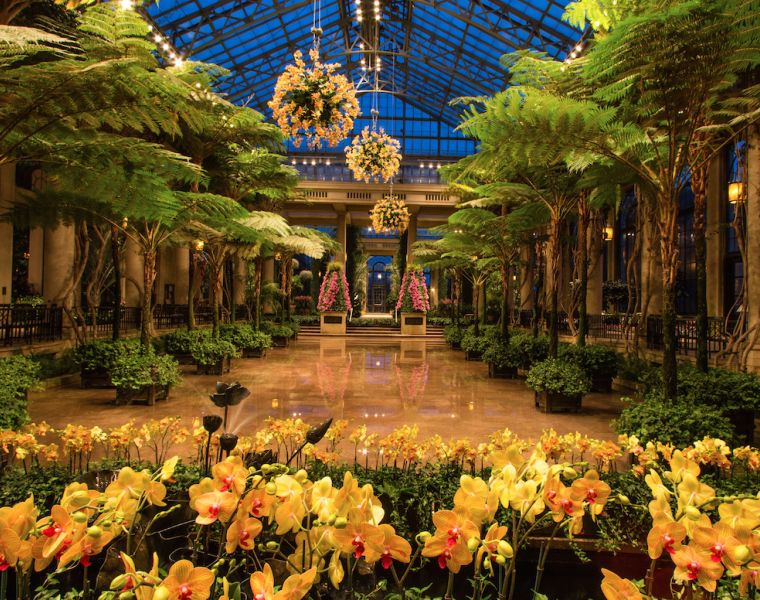 Nothing beats the Winter Blues Like the Orchid Extravaganza at Longwood Gardens! Starting January 21st be wowed by a show-stopping display of orchids in their warm 4-acre Conservatory. As one of the first plant collections at Longwood, orchids have held a place of distinction since 1922. Their talented horticulturists celebrate the beauty and variety of orchids with an artful display that includes a towering 12-foot-tall archway made up of pink Phalaenopsis orchids, giant orbs of orchids hanging over the fern floor, a spectacular purple and white orchid curtain, and more than 200 Vanda hanging from the ceiling in their Silver Garden. 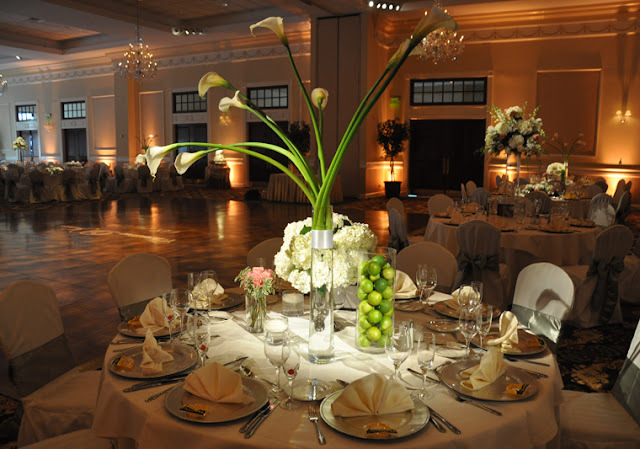 The Orchid Extravaganza will also feature many surprises and living works of art! 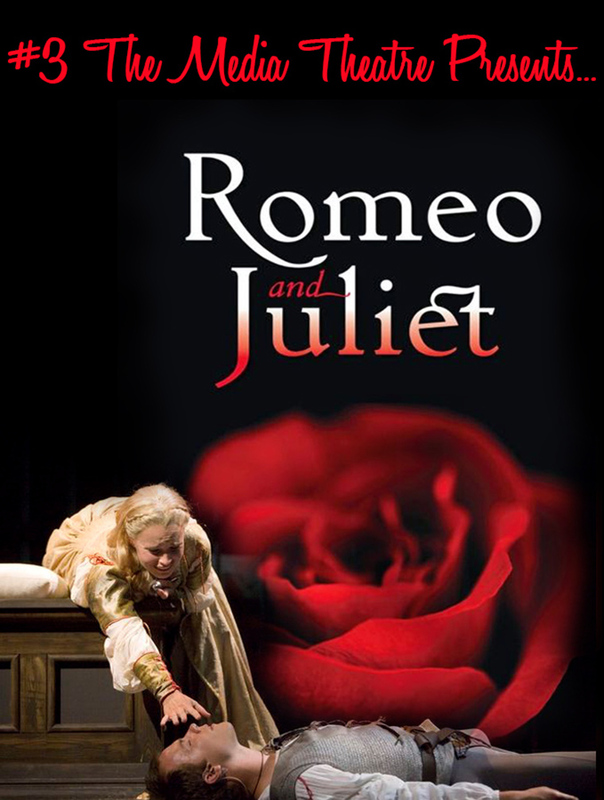 Romeo's final words in Shakespeare's star-crossed lovers masterpiece will unfold in a passionate production by The Media Theatre from January 25th through February 19th. As part of the Theatre's Broadway Series, this is their first Shakespeare classic and will be directed by Bill Van Horn, who last year directed the popular “Peter and the Starcatcher” at the Walnut Street Theatre. 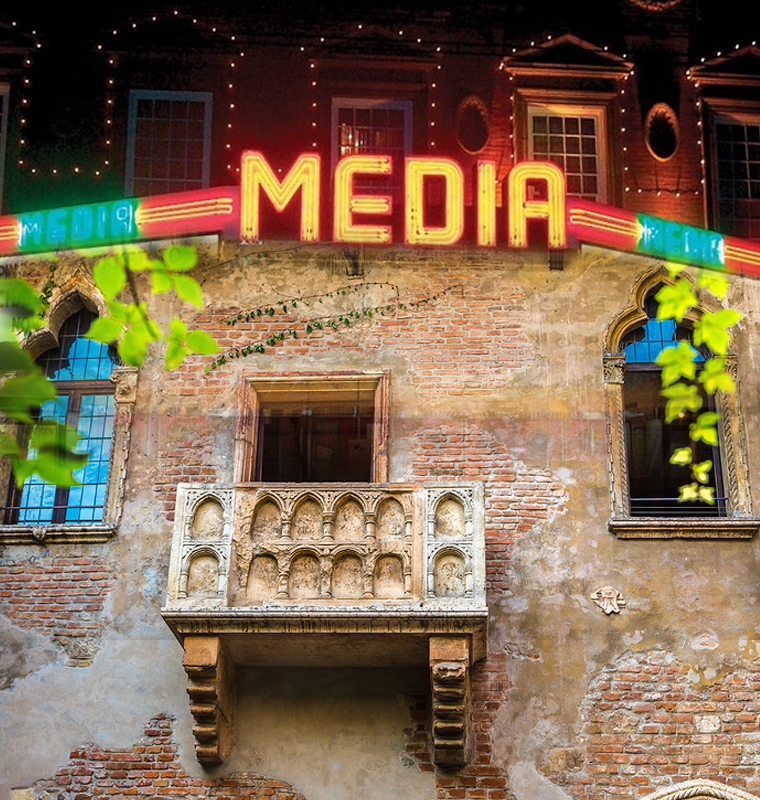 in Verona, Italy where Juliet supposedly was wooed by Romeo. Lexi Gwynn, who played lead roles for Jesse Cline in “The Miracle Worker” and “To Kill A Mockingbird,” returns to appear opposite O’ Rourke as Juliet. It was among Shakespeare's most popular plays during his lifetime. Today, the title characters are regarded as archetypal young lovers -- and were the inspiration for West Side Story. Looking for a little help in the love department? Join the thousands of people who flock to the Verona site each year, where many believe that the Bard's fictional heroine fell in love with Romeo. They leave notes, requests and letters behind, in the hopes that this romantic site can cast a lucky spell on their own love lives. symbolic tourist attractions in Verona. As Albert Einstein said, "Logic will take you from A to B. Imagination will take you everywhere else." 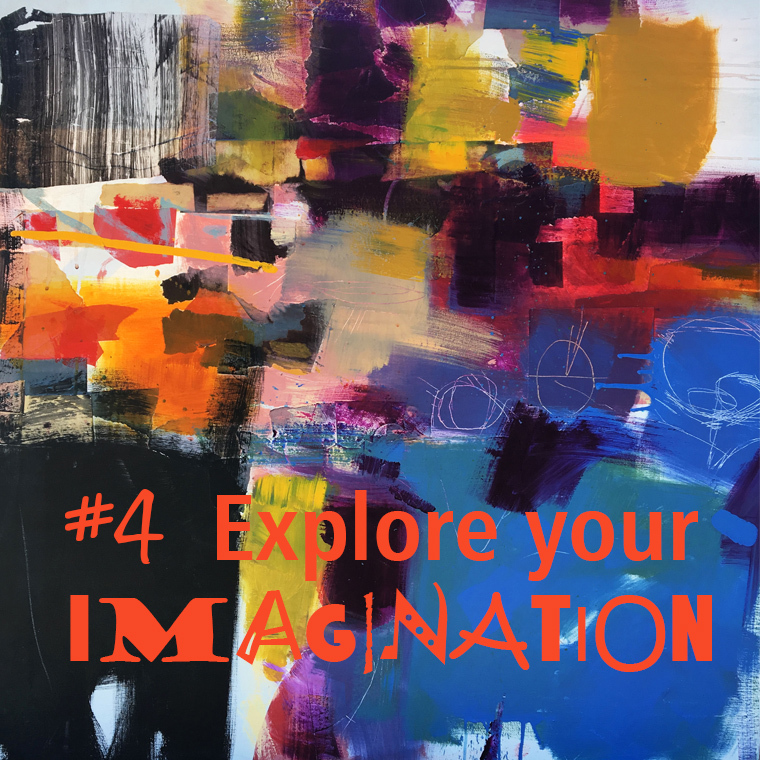 Starting January 8th, the Community Arts Center in Wallingford invites you to let your imagination run wild at their ABSTRACT STUDIO ARTISTS SHOW in the Duke Gallery. Attend the Artists Reception on January 8th, 2 to 4pm and meet the artists whose work is bold, insightful and definitely a welcome break from the somewhat mind-numbing explosion of reality TV, email emogies and Candy Crush obsessions. Why not take an art class this year? Surprise yourself! Register for classes and workshops in painting, drawing, ceramics, sculpture, jewelry, mixed media, printmaking, photography, music, and yoga. Register for classes at the CAC Website or call the office at 610-566-1713 for more information. And...don't miss the Tri-State Jazz Society Concert January 15th, from 2 – 4 pm. Swing, sway and tap your toes as Clarinetist Steve Barbone leads one of the area’s best and most experienced Dixieland bands in the Delaware Valley. Tri-State Jazz Society presents performances by artists who specialize in the very earliest styles of jazz music, often referred to as “traditional” jazz. 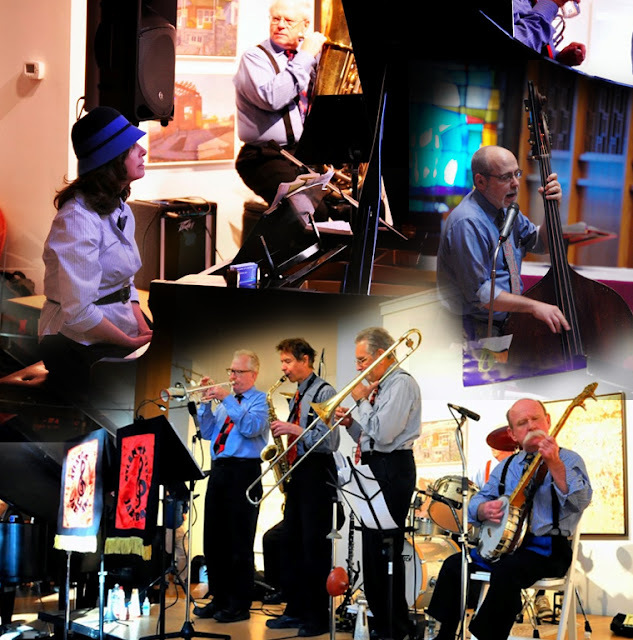 For more about the Tri-State Jazz Society visit Tri-State Jazz Society Website for information, videos, concert schedules and more. Great men and women throughout history are remembered because they transformed the way human beings think, act or react. The best way to honor them is to also think and act...in a way that creates a positive reaction today. Martin Luther King, Jr. attended Crozer Theological Seminary in 1951. 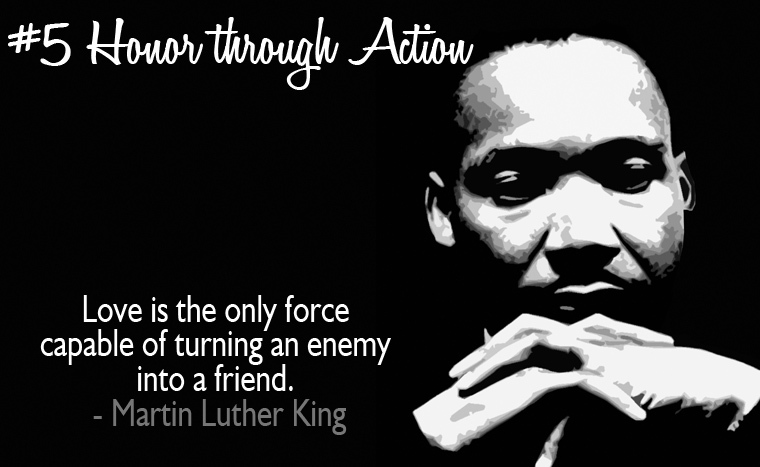 January 16th we celebrate the life of Martin Luther King, who was the chief spokesman for nonviolent activism in the Civil Rights Movement which successfully protested racial discrimination in federal and state law. We honor his memory with a National Day of Service. 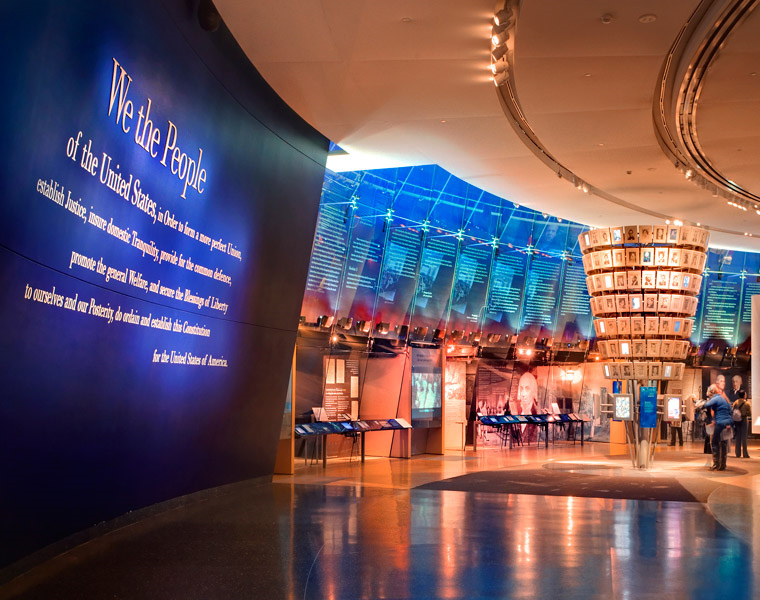 The National Constitution Center is joining with Global Citizen's Greater Philadelphia Martin Luther King, Jr., Day of Service for a daylong commemoration on Monday, January 16th. 11am and 1pm -- Two performances by an award-winning husband and wife duo who lead an interactive musical program of singing, sign language, movement and stories! Noon and 2pm --Local actors will join students from local colleges to perform a passionate reading of the "I Have a Dream" speech. And everyone can create their own "I Have a Dream" mobiles expressing their dreams for their communities, the country and the world. 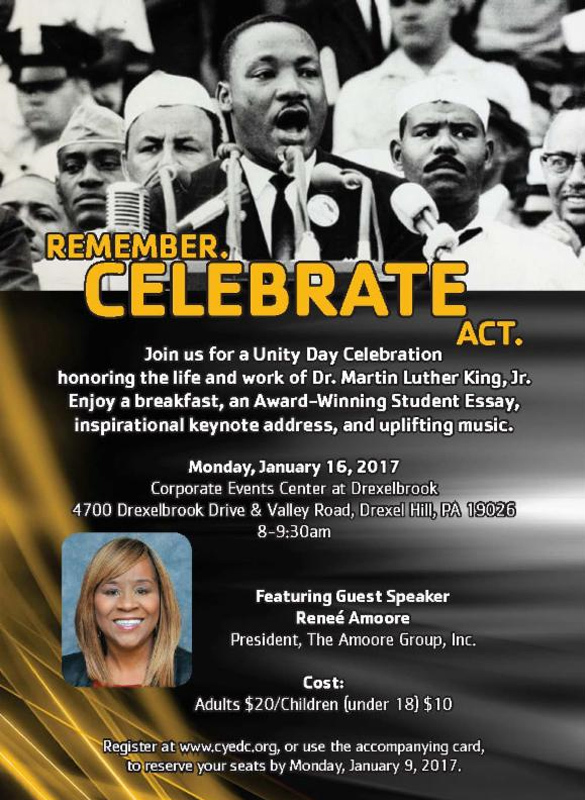 Media Fellowship House, the Media Area Unit NAACP and the Media Area Houses of Worship invite you to join them for an annual community celebration honoring Dr. King and the men and women who struggled right along with him. A special reception following the celebration is sponsored by the Media Area Unit NAACP and Media Fellowship House. Plan an event in your own neighborhood...collecting food, clothes or other items for a veteran's or other charity. Check the websites of local colleges like Neumann and Villanova Universities which most years invite volunteers to campus events. 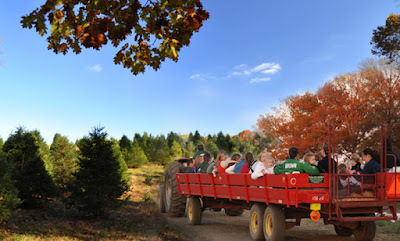 When the bills for Christmas start arriving faster than speeding bullets, and 7-year-olds snicker as they speed past you on the ski slopes -- I suggest an afternoon of great wine, artisan cheeses, honey and live music at Penns Woods Winery in Chadds Ford. 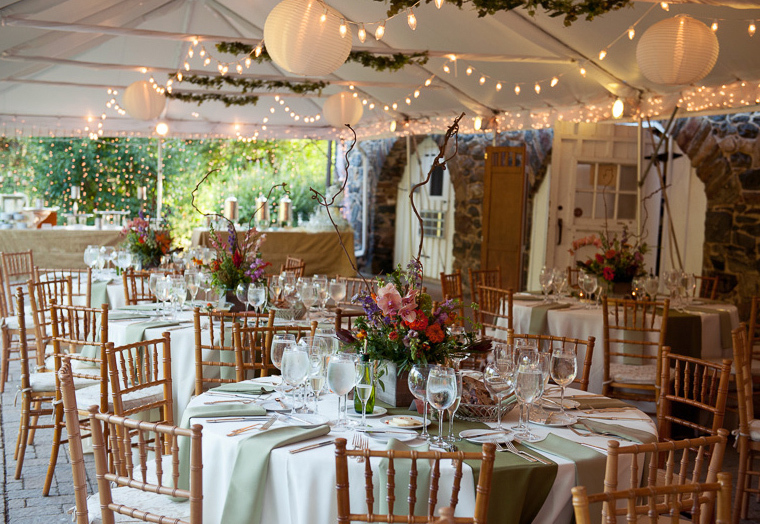 Penns Woods is a family-run winery located in the heart of the Brandywine. Their award winning wines are truly amazing, and every Saturday afternoon there is live music on the porch. 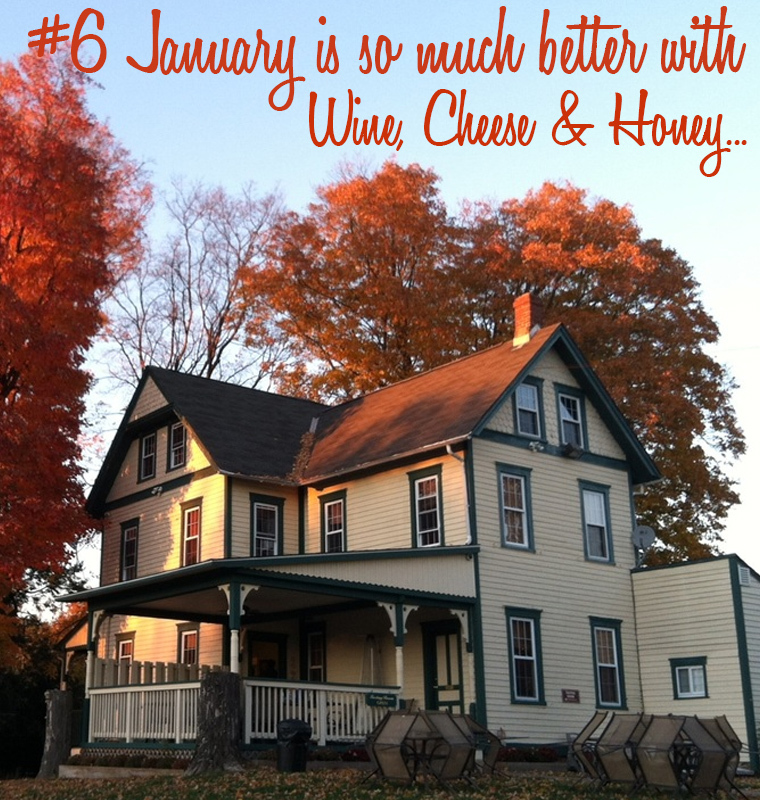 Throughout January they serve a tasty Mulled Wine, and offer 4 weekends of Wine, Cheese and Honey Pairings. $28 in advance, reservations required. 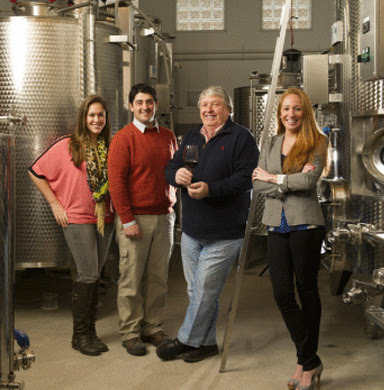 With over 40 years of experience in the business, winemaker Gino Razzi, and his daughter Carley Mack, produce award winning wines from Pennsylvania-grown grapes. Penns Woods wines can be found in restaurants throughout Philadelphia and its surrounding suburbs. 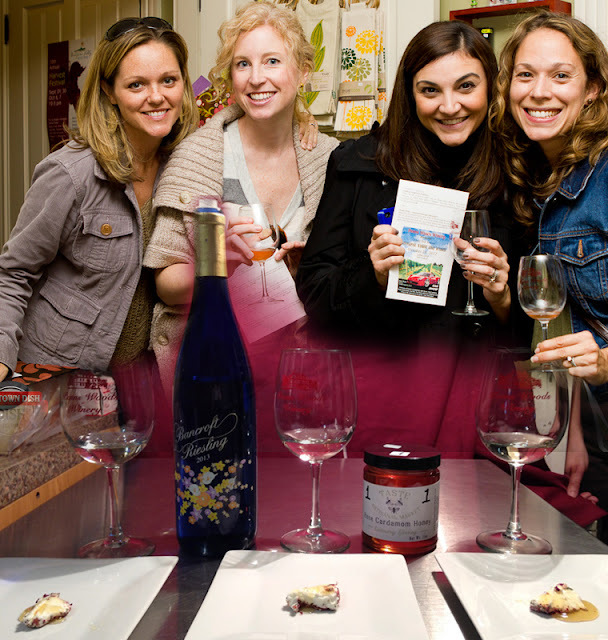 Local state stores offer a limited selection of their wines or visit the Penns Woods tasting room for a full selection as well as an all-around vineyard experience, with exciting events each weekend. Penns Woods Tasting Room is open daily for walk-in tastings. Groups 6+ please call ahead. 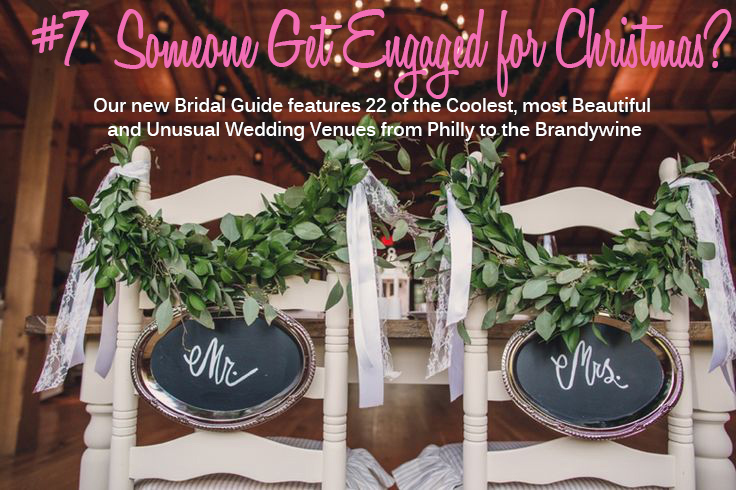 Our Destination Delco Visitors Bureau has created an exciting Bridal Guide that takes you from Philly to the Vineyards of the Brandywine. 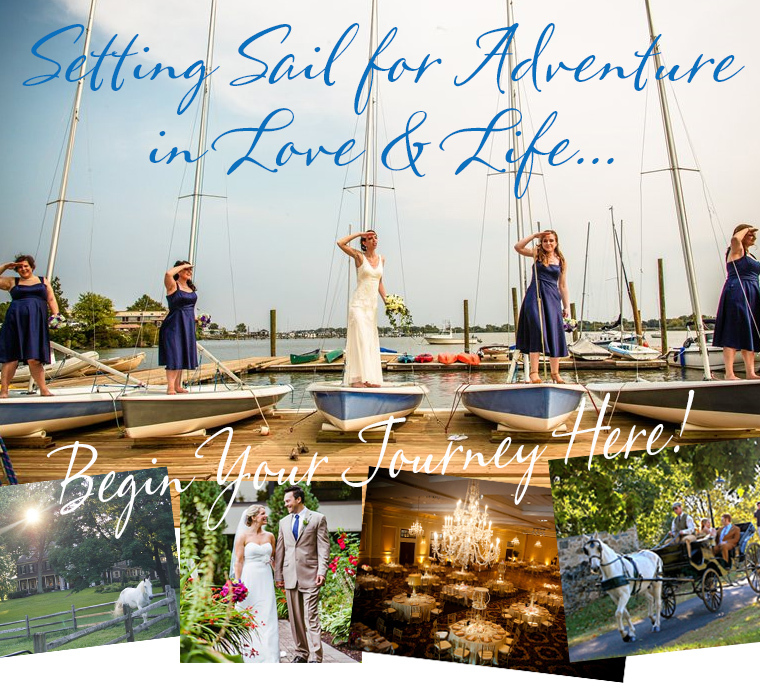 Explore a Riverfront Yacht Club - Country Barns - lush Gardens - a rustic Cabin - elegant Mansions - a famous Rock & Roll Concert Hall - and even a Helicopter Museum where you can literally fly in to your wedding party! Simply click on the CAPTION below each category photo to explore the venues featured in that category. So, grab a coffee or a glass of wine - open your most romantic playlist - and together we'll explore some amazing places to hold a wedding! Hitch a ride to Hedgerow Theatre for more exciting adventures in outer space. 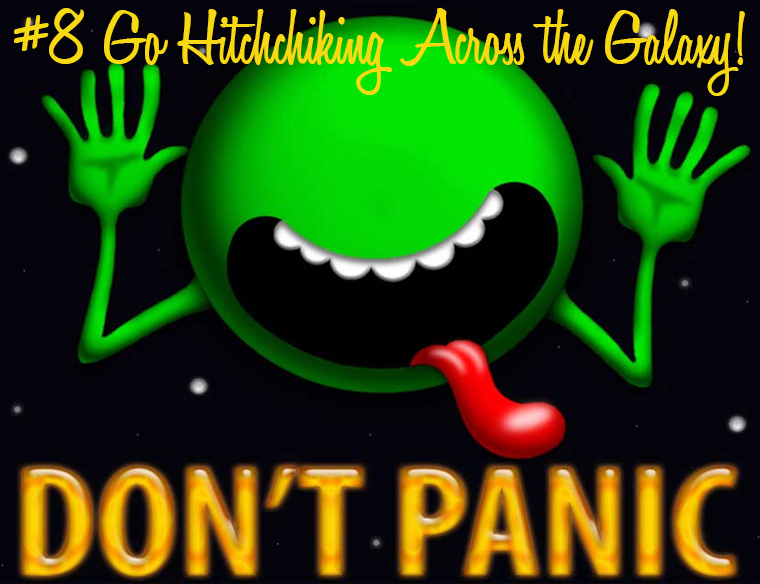 Starting January 13th, Hedgerow Theatre raises the curtain on its second installation of Douglas Adams' original radio play, The Hitchhiker's Guide to the Galaxy Part 2. Showcasing original artwork by Phoebe Titus, the theatre company lends it’s voices to Arthur Dent, Zaphod Beeblebrox, Marvin the Paranoid Android, and others in their continued adventures through space. This production is directed by Jared Reed, the fifth generation of a professional acting family. A Juilliard School graduate, Reed has appeared nationally at Princeton's McCarter Theatre, San Diego's Old Globe, Cincinati's Playhouse in the Park, the Cleveland Playhouse and the off-Broadway Minetta Lane Theatre, among others. He eventually moved to the Philadelphia area, co-founding the Curio Theatre Company. He has been associated with Hedgerow since 1990. It's January. Snow is going to fall, and when it does...exchange the PJs and couch for a coat and scarf and have some fun! This 47.5-acre estate sits at the end of a long, winding driveway. 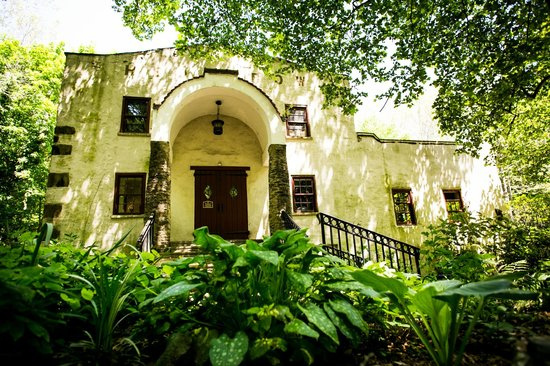 The restored 3-story mansion contains many of the original architectural features that add to the historical charm of the property. The grounds are open all year and the hill rising to the street from the lake is a playground for sledding during the winter months. 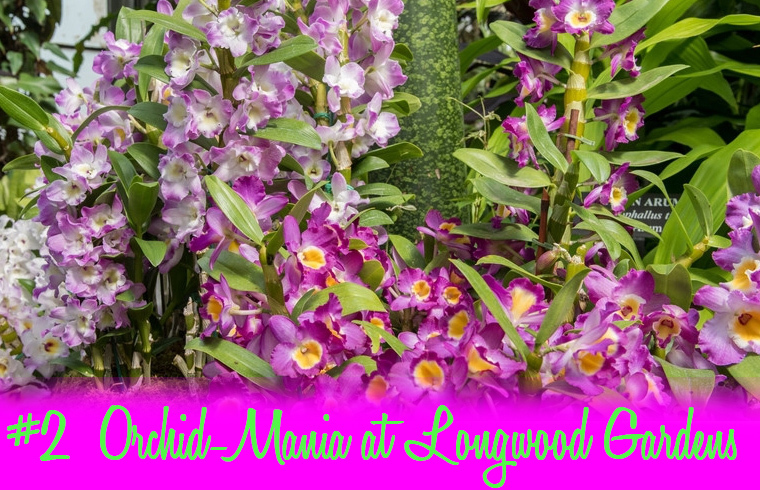 Drive your senses crazy at Longwood's Annual Orchid Festival! Linvilla Orchard’s Fore! 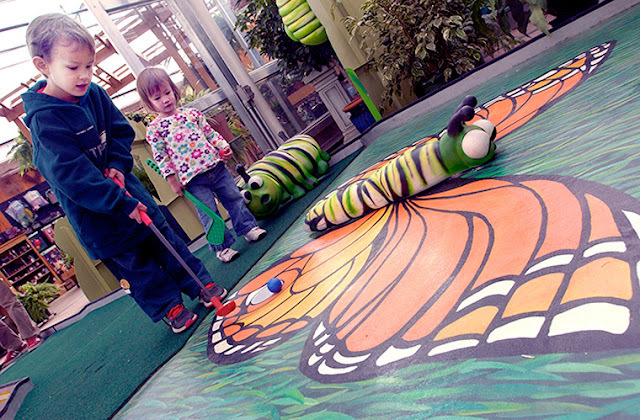 The Planet indoor mini-golf course is a highly interactive and entertaining museum exhibit created by the Academy of Natural Sciences in Philadelphia. There are 18 educational holes that explore butterfly metamorphosis, a tropical rainforest, evolution, dinosaur extinction, food chains, and more. Perfect for kids of all ages. 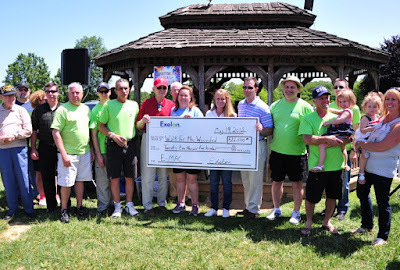 If your New Year's resolutions included finding time to volunteer for a worthy cause, here are 4 ways to help your community while supporting tourism or special events that bring thousands of people to Delaware County each year. 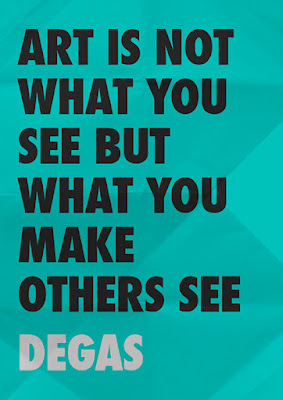 Love Art? Children? Crafts? Conducting Tours? 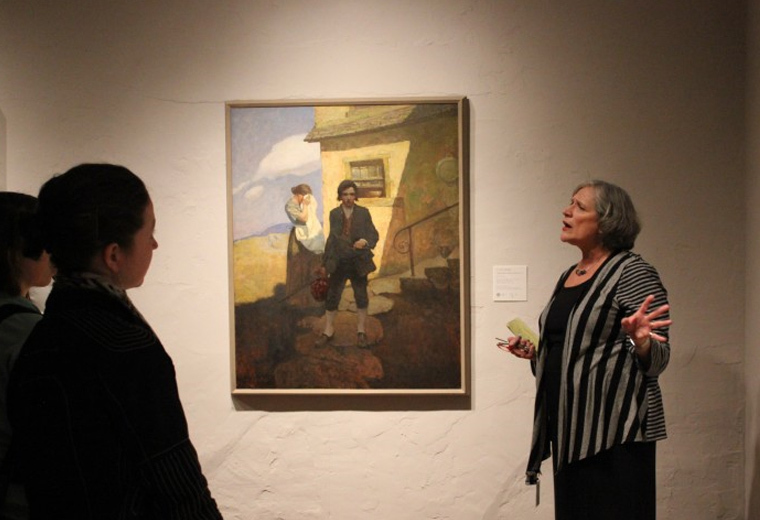 Volunteers are an integral part of the Brandywine River Museum of Art and have been since the Museum opened its doors in 1971. 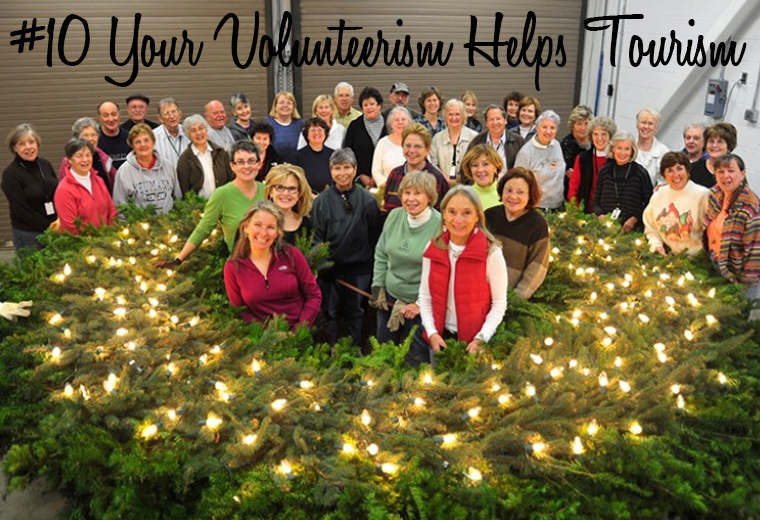 Join this dedicated group of 400 volunteers by becoming involved in a variety of exciting year-round opportunities. 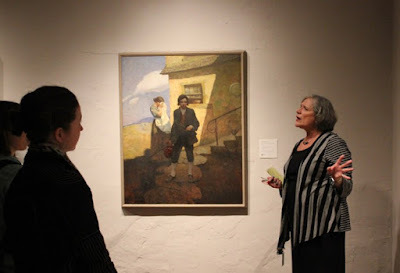 The Museum offers guided tours of its collection and special exhibitions to adult and student groups on a year-round basis, seven days a week. An extensive guide training program is conducted by the education and curatorial staff one morning a week for 10 consecutive weeks. the Children’s Christmas Party, Fairy House workshop, music events, lectures, family programs, craft activities and the Radnor Hunt in May. 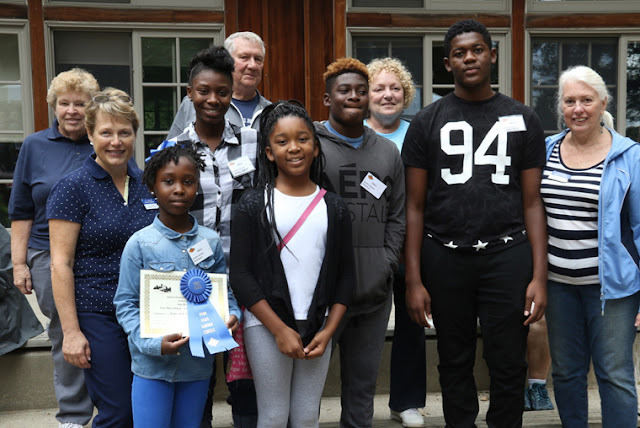 For additional information, or to become a volunteer, please send an e-mail to volunteer@brandywine.org or call 610.388.8318. 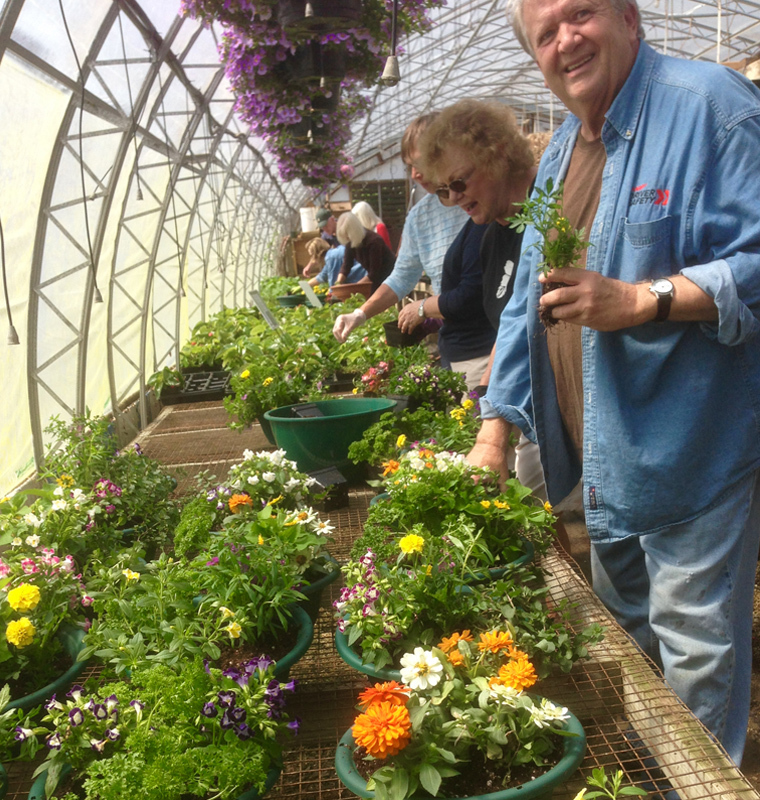 For those who love gardens, plants and flowers...volunteer in Delaware County's Master Gardener Program. 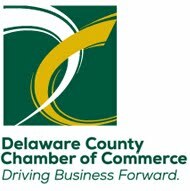 Did you know that Delaware County is part of an area recognized as the Garden Capital of the United States? 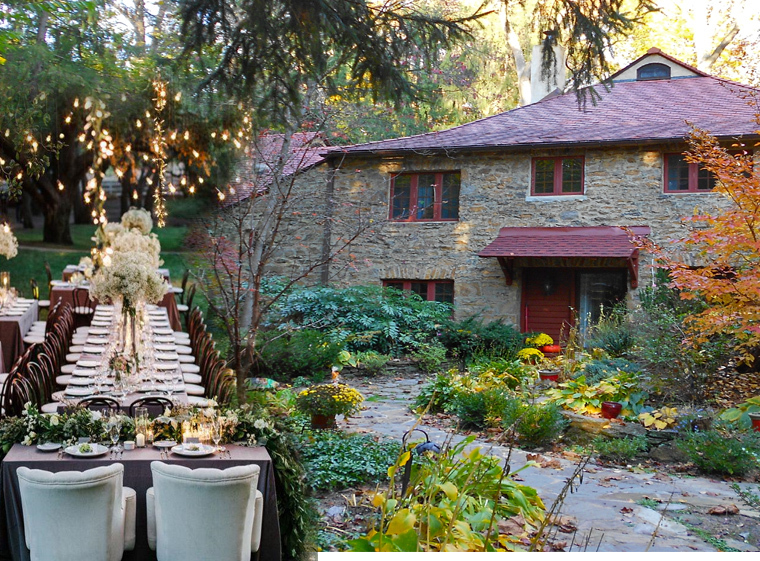 Philadelphia and its surrounding Counties feature 30+ Gardens within 30 Miles. 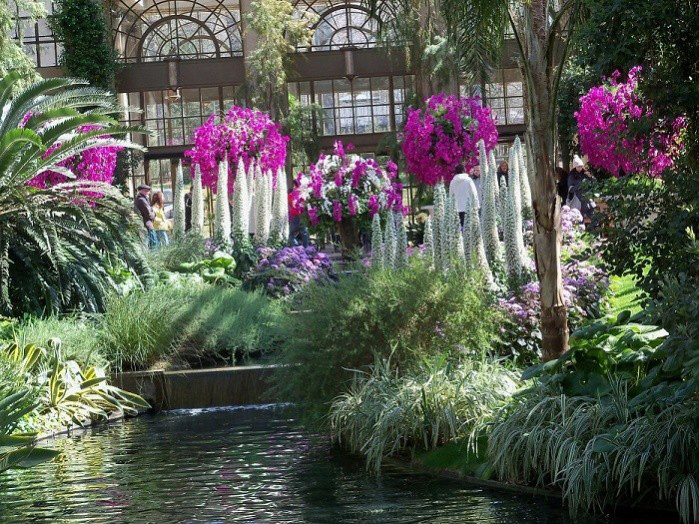 Millions of people tour these gardens every year -- including our own Chanticleer Gardens on the Main Line, Tyler Arboretum in Media, Scott Arboretum at Swarthmore College and The Brandywine River Museum of Art in Chadds Ford. We are home to the John Heinz National Wildlife Refuge, Ridley Creek State Park and Longwood Gardens is just minutes across our border in Chester County. Become a Penn State Extension Master Gardener. Are you passionate about sharing the joy of gardening with others? Do you have? · Providing outreach by speaking at libraries, garden clubs, schools, and civic clubs. Applications for becoming a Master Gardener will be accepted through the Spring, 2017. Interviews will be held in June, and the Master Gardener Basic Training in Delaware County will be held from mid-August through mid-December, 2017. For more information, the Master Gardener application, and the Basic Training updated schedule of classes, contact Linda Barry, Master Gardener Coordinator at lrb16@psu.edu or 610-690-2655. For those who love history, join the Volunteer Team at the Colonial Pennsylvania Plantation in Ridley Creek State Park outside of Media. to assistant farmers. Hoe! Hoe! Hoe! Do you like history, meeting new people, learning new skills and feeling that you are really helping out? If you answered yes to any of these questions, then becoming a volunteer at the Colonial Pennsylvania Plantation may be right for you. 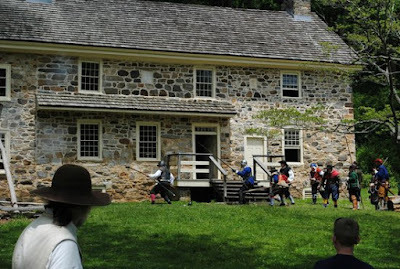 The Colonial Plantation is a nationally recognized living history museum right here in Delaware County. On weekends from April to November, volunteer interpreters greet visitors and share what they have learned about colonial life with them. Some costumed interpreters participate in special weekend events, demonstrate colonial skills and act as tour guides. Others teach classes, conduct workshops or simply are on hand to answer questions. Other volunteers are needed to work behind the scenes maintaining the property, working in the kitchen garden or caring for the animals. What do they all have in common? Aside from the reward they get from doing something they truly enjoy, there is also the satisfaction that they are needed and appreciated. If you ask their volunteers what they like best about the Plantation, many love the opportunity to talk with visitors from around the world. Some simply enjoy turning back the calendar to a time quite different from our own. 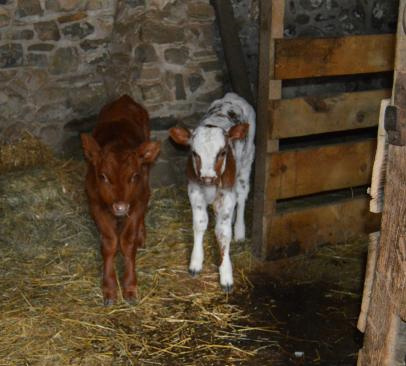 Others say that they come to the farm for its tranquility and to enjoy the animals. 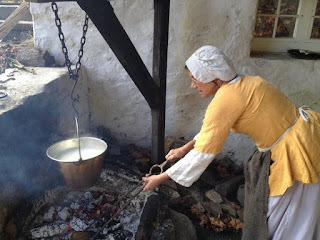 Whether your interest is hearth cooking, farm animals, historic clothing and textile production, blacksmithing, gardening, regional colonial history or just helping out – they have a place where you will not only make a difference - you'll love doing it. No history background required -- just a willingness to learn. 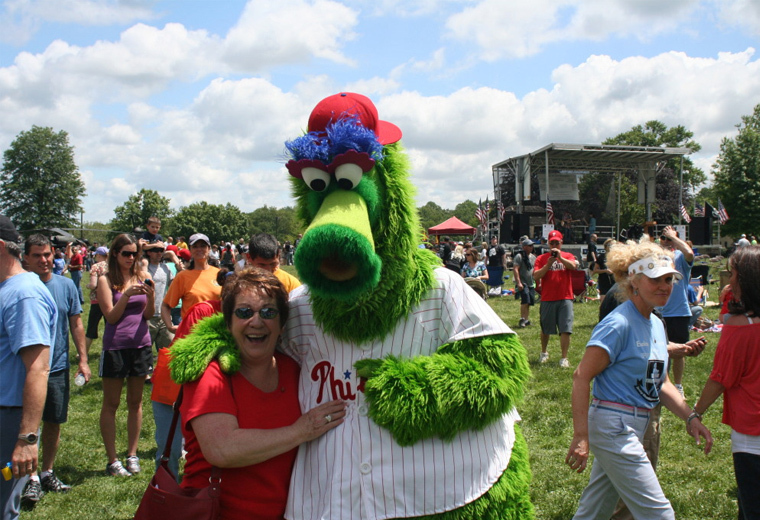 To volunteer email the office at info@colonialplantation.org or call (610) 566-1725. 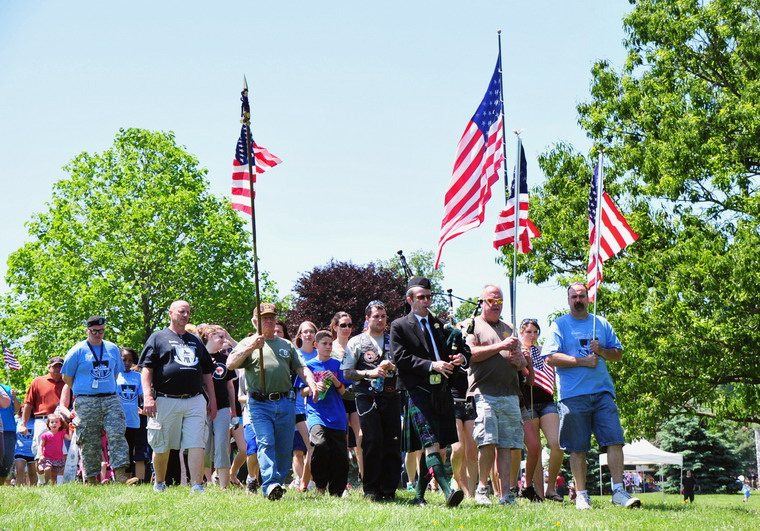 2017's WALK FOR THE WOUNDED & WARRIORS 5K RUN WILL TAKE PLACE MAY 20th AT ROSE TREE PARK -- AND YOU CAN HELP MAKE IT THE BIGGEST YEAR EVER! and exploring our gardens, museums and more. In nine years, this event has raised almost $2,000,000 for wounded soldiers and their families. But 2017 is the 10th Anniversary of the event - and the goal this year is $250,000. 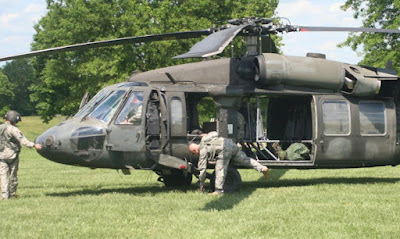 Working with Operation First Response (OFR), virtually all of Delaware County comes together to make this event successful. A full 97% of every dollar raised goes directly to critically wounded soldiers whose lives are changed forever by severe wounds, life changing amputations, and painful surgeries – often followed by mounting bills at home, necessary job retraining, home renovations and more. •OFR is staffed largely by volunteers; only one full-time and one part-time employee are salaried. •The event is free to spectators and all money is raised through individual and corporate sponsorship, advertising in the Walk program book, and donations. 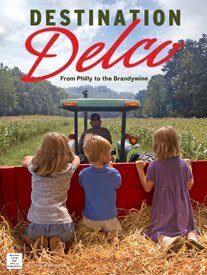 Companies and organizations interested in partnering with OFR and Delaware County’s Tourism Bureau to reach 2017’s goal of $250,000 -- should contact Marty Milligan at mmilligan@destinationdelco.com or 610-565-3679, ext.105. 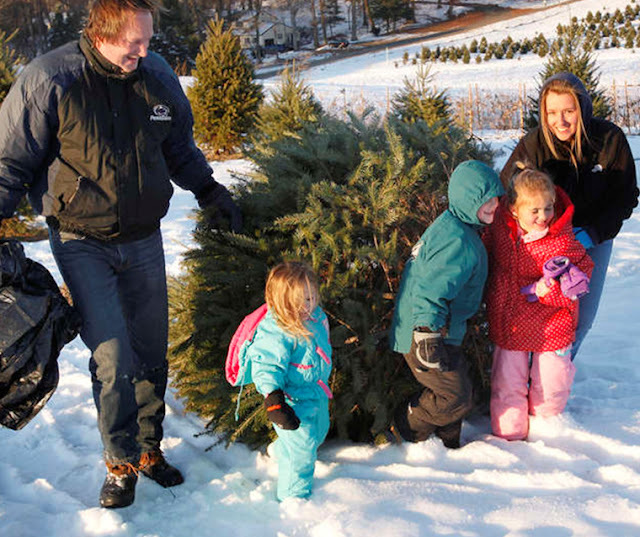 The physical centerpiece of Christmas for most families, is the tree... and more than 5000 people find it at Linvilla Orchards and Christmasland. Whether your family hops a wagon and heads out to the tree fields to cut down your own (like the Delco family pictured above), or whether you browse the gorgeous pre-cut firs at their Christmasland Garden Center, no one leaves disappointed! Linvilla provides a saw, and then hauls the tree back for you, wraps it up and can even tie it to your car all at one set price of $59.99 plus tax. Register early and receive 10% OFF your tree -- and they can drill your tree for "Stand Straight" Christmas tree stands. The staff will even shake the loose needles, put a fresh cut on your tree, tie your tree up and tie it to your car. The Garden Center morphs into a picturesque wonderland of timeless decorations, unique gifts and displays that are sure to leave you in awe. 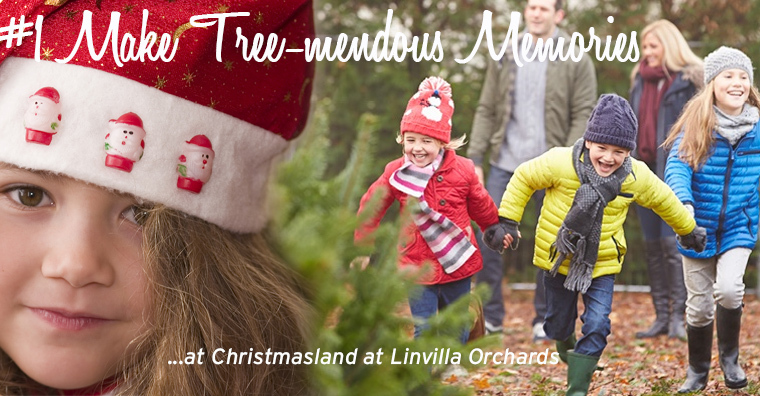 You'll find hand-made wreaths, freshly cut trees, roping, wreaths and all the trimmings. Pre-cut trees range from $40 to $200, depending on size and type. Jolly Saint Nick Visits every Saturday and Sunday! Santa and his elves stop by every Saturday and Sunday from 1 to 3pm, so kids should definitely bring their Christmas List! Plus every weekend there's live music, games, and the craft corner offers dozens of fun activities. Remember to bring your camera to capture the moment! 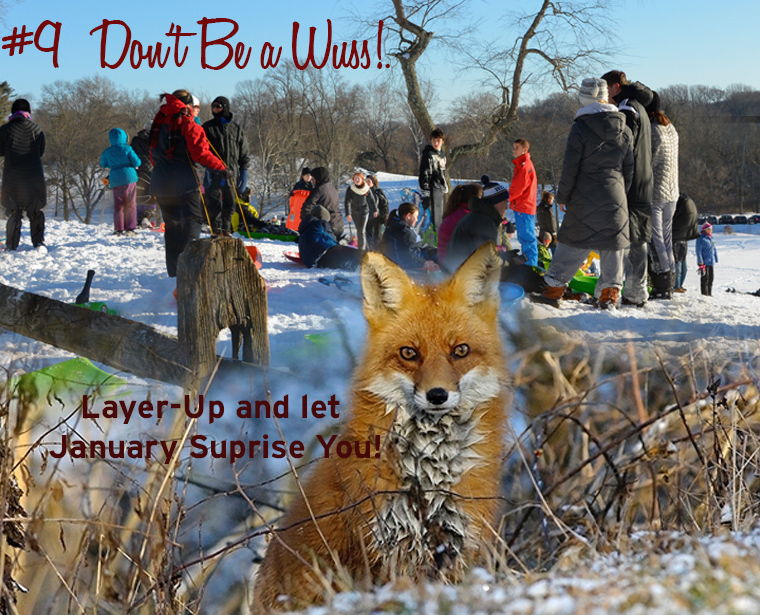 Celebrate the ancient tradition of Wassailing and sing Christmas Carols around a campfire. Enjoy roasting marshmallows and delicious apple cider. Each year the Brandywine River Museum of Art presents an imaginative salute to the season..."A Brandywine Christmas." 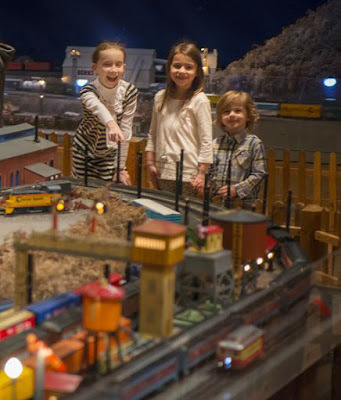 From trees decked-out in playful hand-crafted 'critters' to their hugely popular train exhibit and their rare collection of antique dolls, an afternoon here is one of the best holiday gifts you can give yourself and your family. Youngsters like those pictured are fascinated by the trains, which for adults, carry us back in time to when we were young and our parents brought us to this special place of art and history. This year's Brandywine Christmas story is told through decorations and the legendary artworks of N.C., Andrew and Jamie Wyeth. 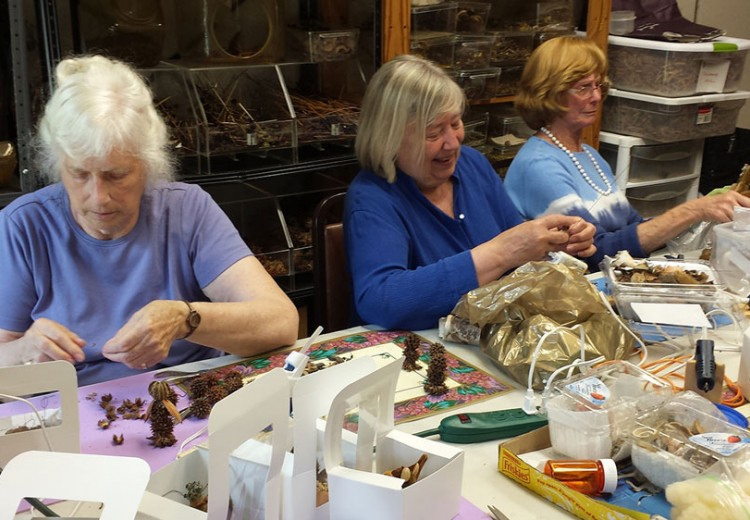 Thousands of whimsical Critters (ornaments and decorations handcrafted by Brandywine volunteers from natural materials) are displayed on towering trees soaring up through the museum's three-story atrium. 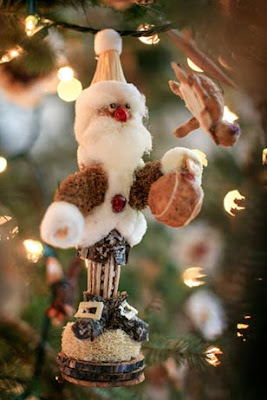 A Santa ornament is pictured left. PJ Parties, an Opera Performance and more! 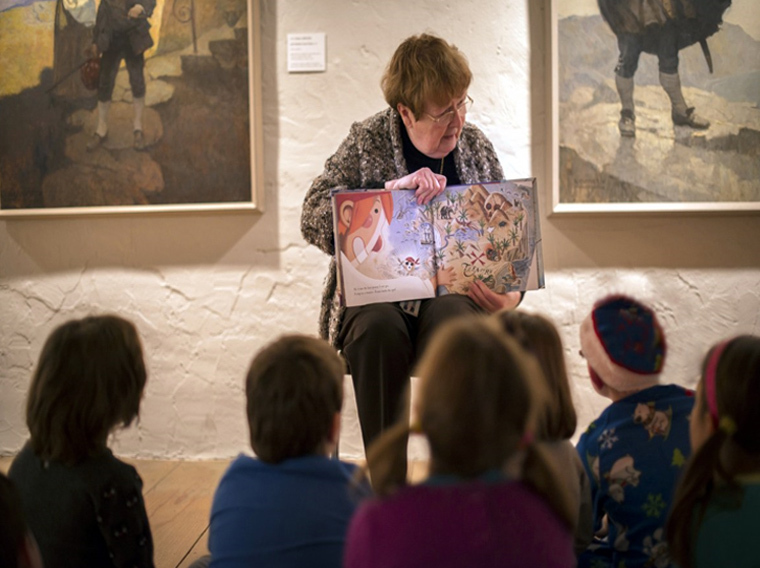 Children are encouraged to wear their pajamas as they delight in the tale of The Polar Express and enjoy hot chocolate and cookies. Tickets are limited; reserve online or by calling 610.388.8326. 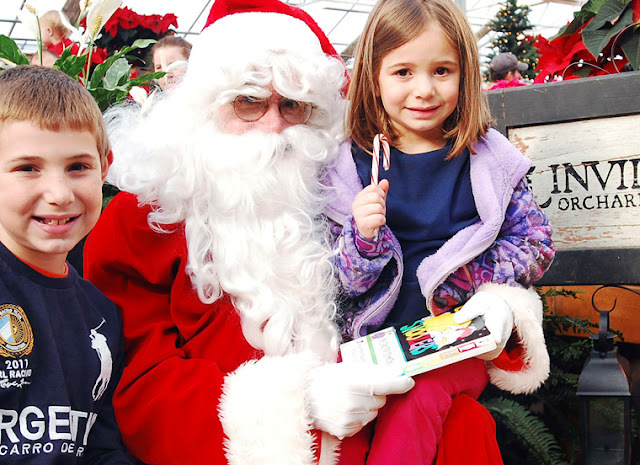 Visit with Santa and Mrs. Claus and enjoy entertainment, costumed characters, face painting, model trains, antique dolls, trees adorned with critters and Cookie Land! Tickets can be purchased at the door. 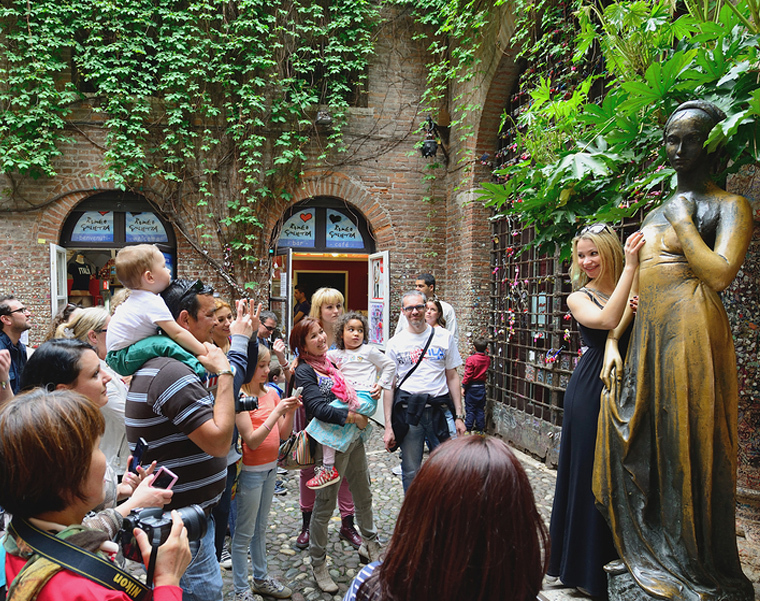 Courtyard gates open at 6:00 p.m.
Take an exclusive, behind-the-scenes tour! Discover how one of the world’s largest train layouts is created and the complicated multitasking involved in the operation. 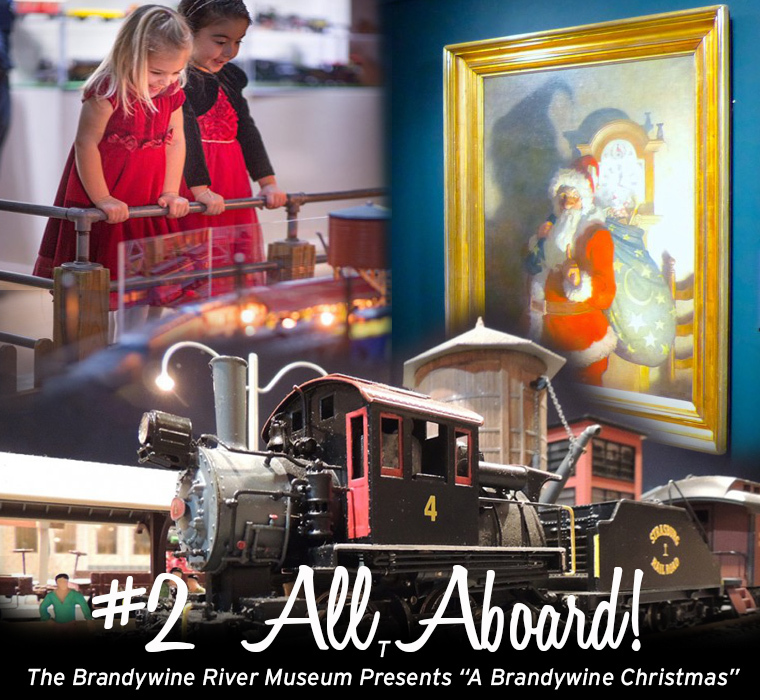 This before-hours event includes a private tour of the trains in action with Brandywine Railroad engineers including special activities for the youngest train fans and a continental breakfast in the museum’s café. Children receive a Brandywine Railroad souvenir; ages 3 and older accompanied by an adult are welcome. Tickets are limited and will sell out quickly. Reserve online or by calling 610.388.8326. Listen to international opera singer Peter Campbell sing songs of the holiday season. 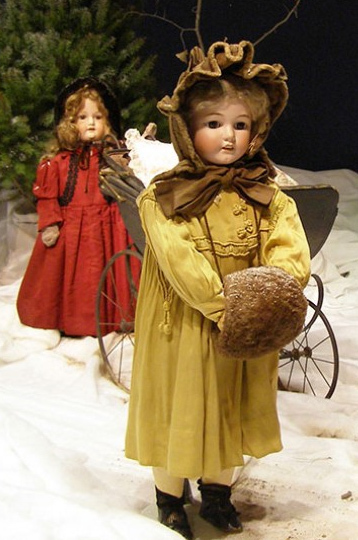 Bring your favorite doll to the museum for a morning of creative crafts and light refreshments. Participants will cut and color paper dolls based on Brandywine’s Ann Wyeth McCoy doll collection, make matching bracelets for themselves and their dolls, and enjoy an informal tea party. Best for ages 3 and older accompanied by an adult. Tickets are limited and will sell out quickly. Reserve online or by calling 610.388.8326.